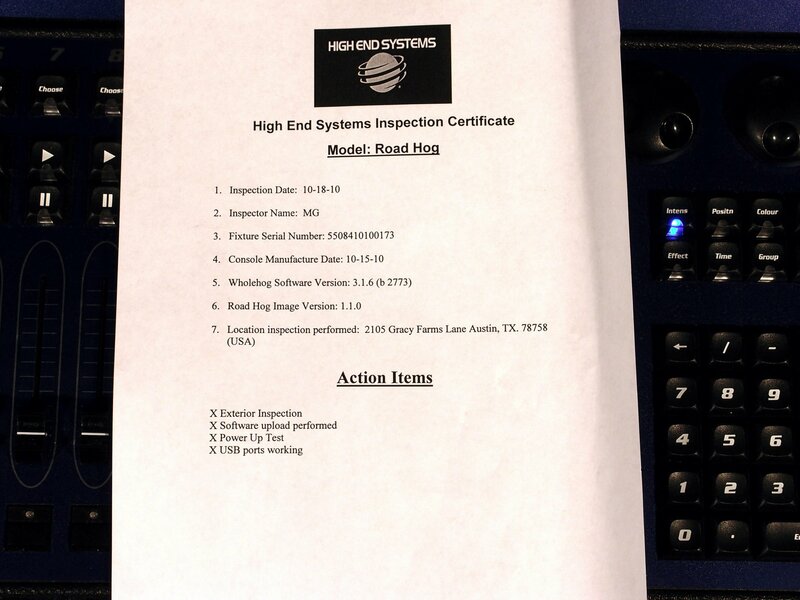 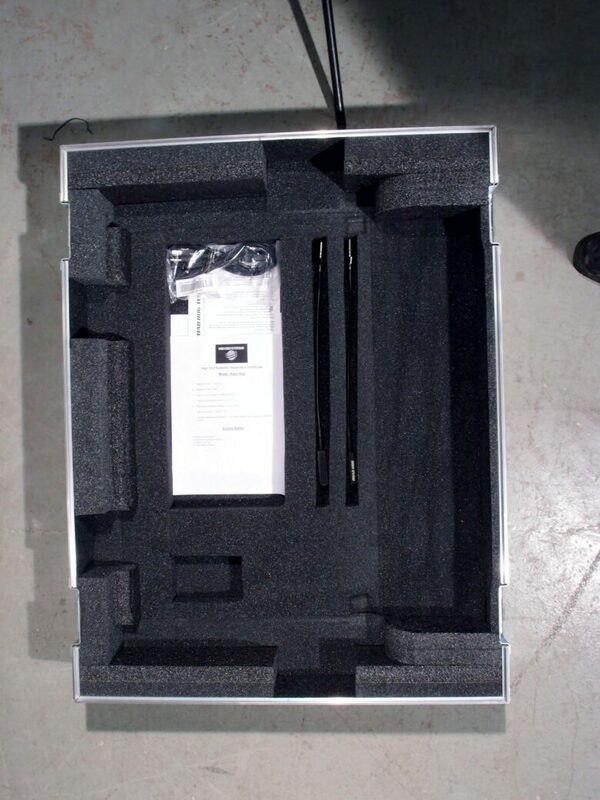 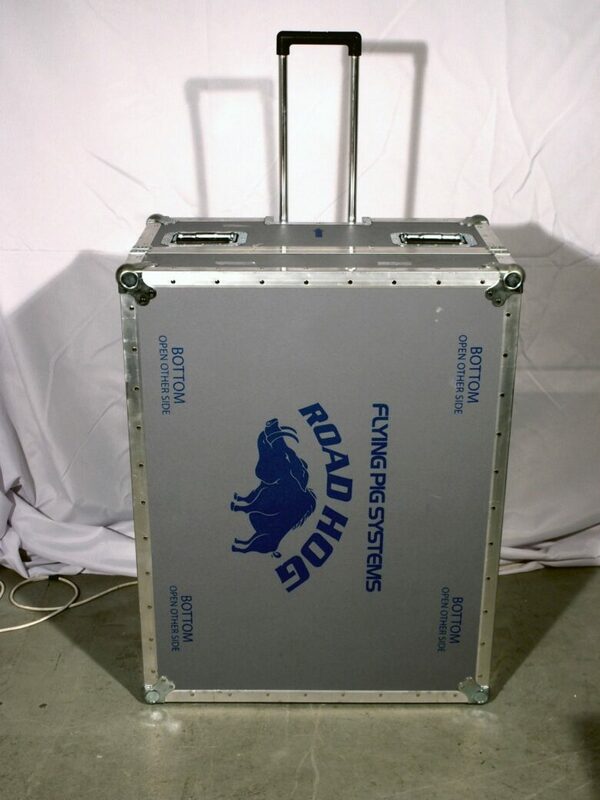 High End Systems Road Hog 3 in touring case. 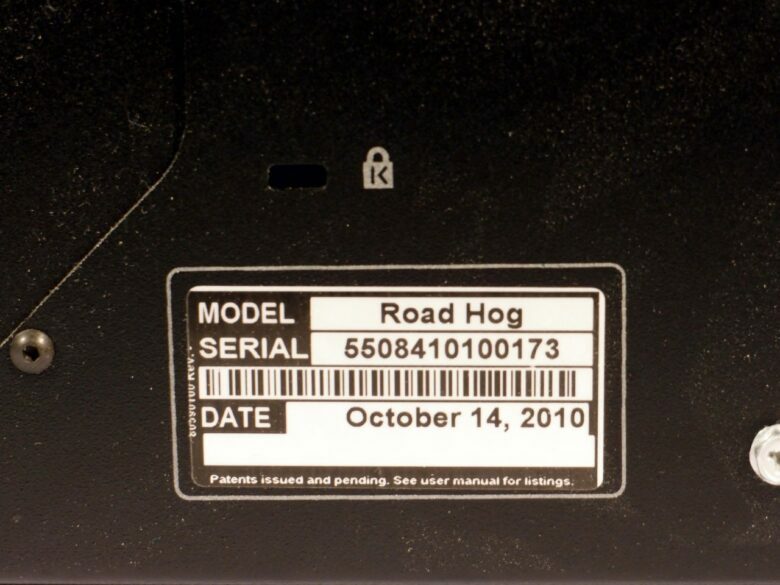 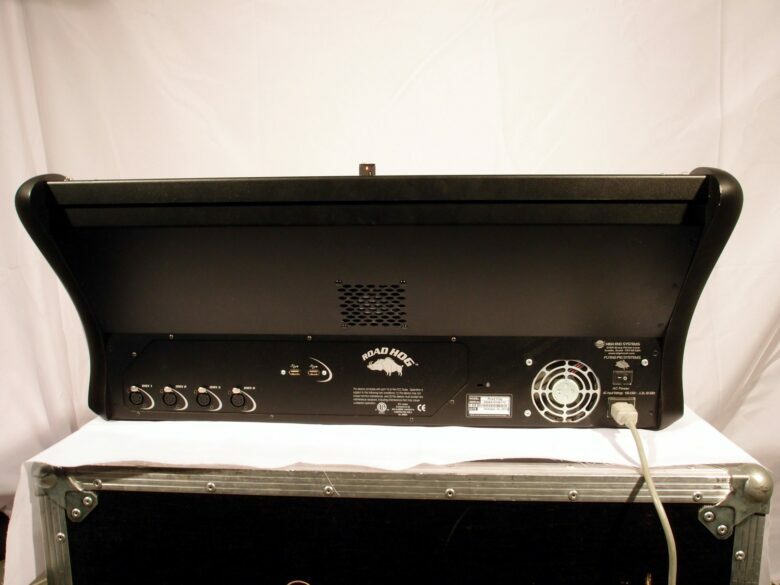 Designed from the ground up to provide superb lighting control with powerful programming procedures, the Road Hog is a true thoroughbred automated lighting console. Its simple and intuitive operations as well as cost effectiveness offer the user an unprecedented amount of control. Equipped with Flying Pig Systems renowned Wholehog software, you are able to create, manage, edit and playback lighting to enhance any production environment. 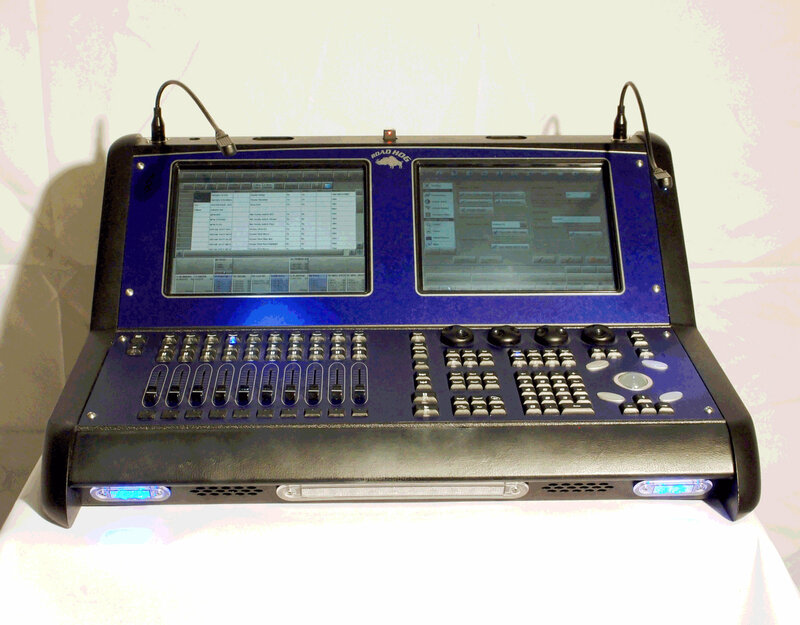 Bringing you screaming-fast performance in a quiet, self-contained environment, the Road Hog console provides 2048 DMX channels of control. 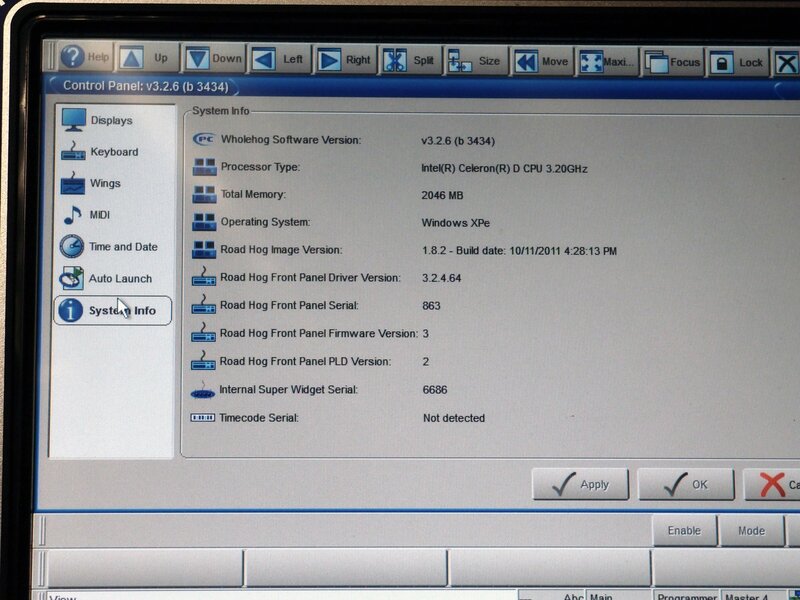 Two internal touchscreens display data and allow quick access to many powerful features. 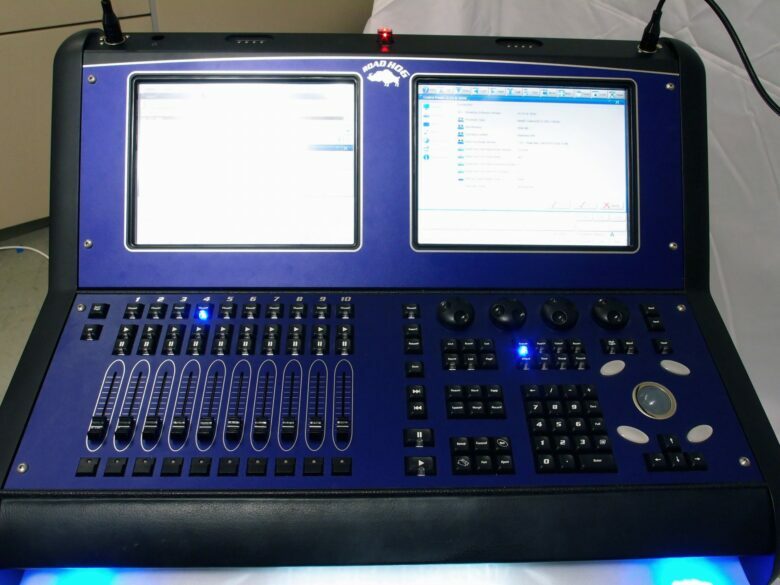 The Road Hog console combines innovation with a proven software and hardware platform, resulting in an unprecedented range of lighting capabilities.